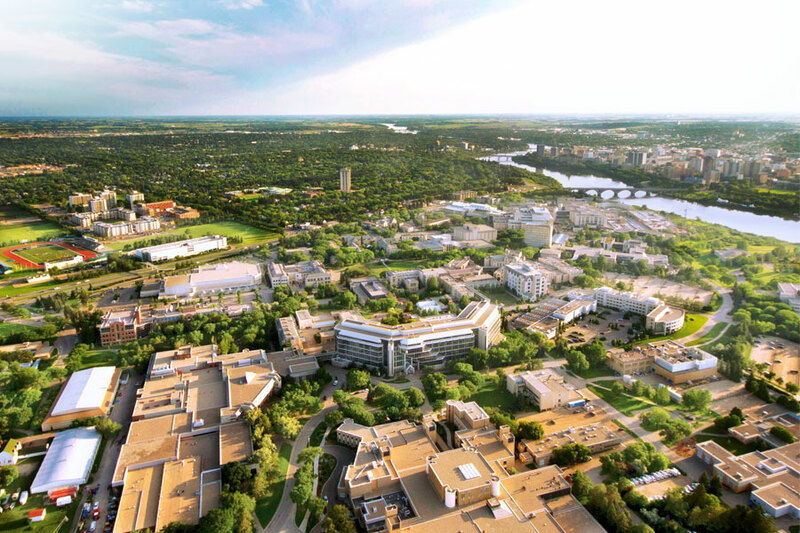 To help define the vision, mission and values of the University of Saskatchewan, President Peter Stoicheff appointed a cross-campus committee to lead the work. The committee, with representation from faculty, staff, students, the Board of Governors, University Senate and University Council, is consulting with members of the campus community with the aim of preparing a draft document by June. HenryTye Glazebrook sat down with committee co-chairs Brent Cotter, professor in the College of Law, and Liz Harrison, associate dean of physical therapy and rehabilitation sciences in the College of Medicine, to find out what the project entails and what it means for the campus as a whole. In your own words, can you briefly summarize what the vision, mission and values project is all about? Brent Cotter (BC): The president identified that the university has not had an officially approved articulation of its vision and mission for over 20 years. It was important in his view to articulate a modern mission, vision and values for the university going forward—particularly a statement that might be relevant over the next decade or so. Why is it so important to take on this task now? Liz Harrison (LH): Although there has been robust strategic planning done at the university over the years, some of the work has moved beyond what is described in the vision, mission statement from 1993. In a sense, we are catching up to what we have already been doing in some areas. BC: Three-quarters of the present faculty were not here 23 years ago, so the current document is one with which they may not be particularly well acquainted. It is, essentially, a document that was written before their time and may be written for a time that is no longer quite as relevant to the university environment. Are there any areas you have gotten feedback on so far that people are keen to see included? BC: We're a much more powerful research institution now than we were in 1993. Trying to imagine how we can be respectful of all of the things that we do but, probably in a bolder way, capture the discovery, knowledge and exploration mission of this university is an example of the difference between the U of S in 1993 and the U of S in 2016. LH: Canadian and global post-secondary university environments continue to change and the document is intended to reflect this, plus looking forward 10 years. That's the visioning part of the exercise. We have valuable data from various units within and external to the university, which will help to inform this aspect of the work. Would it be appropriate to say this is less of an update and more of an overhaul of what was created in 1993? LH: I don't think it's an overhaul, though that may just be my impression of what an overhaul is. There are aspects of the 1993 document that are foundational, but one would be surprised not to see revisions and additions over a 23-year period. Former presidents Peter MacKinnon and Ilene Busch-Vishniac worked on similar projects, Renewing the Dream and Vision 2025, respectively. What is being done to ensure this one is distinct from what's been done previously? BC: One of the exercises that we have underway is to try to glean what strengths those documents had that we can build upon, while recognizing the different time frame in which they were developed. Much of what is captured in those documents is a valuable guide to the commit- tee's work. Our goal is to be respectful of the work that's been done in the past, but still capture a modernized version of the university moving forward from 2016. LH: The additional piece that I think is a positive part of our consultation is that we have two surveys going out to all faculty, staff, students, senate, the Board of Governors and alumni. Every individual will have an opportunity to have their voice heard in the initial stage of development, and then again when we have a draft document available. What steps are being taken to ensure this project covers such broad perspectives? LH: Our work covers the current exploratory consultation period, an analysis and synthesis stage, and the drafting of the initial document. In addition to the survey mentioned above, the initial draft will go to various committees of University Council, University Senate and the Board of Governors. In April and May we hope to gather additional feedback and have a final document ready to submit to the three university governing bodies—council, senate and the board—in June. That's a fairly tight timeline. Is there any worry that it might be a little too tight? LH: I think it is a busy time for us, yes, but the benefit is that we have a new president who has set up a series of meetings with many of our university and college constituents, and this has assisted us with co-ordination of our consultations. BC: The part, I think, which will be a challenge is in the writing of the document. All of us, including President Stoicheff, would like to see a short, focused document that is a powerful statement rather than pages and pages of writing—something that people can understand and remember and, hopefully, act upon going forward. LH: It's a great time to be part of the University of Saskatchewan, and we hope that this sentiment is widely shared and that people will convey to us their hopes for the university and its future.